Banff, Alberta is known for it’s stunning mountains and lakes like Mt Rundel, Lake Moraine and Lake Louise, however there is so much more to explore. Banff isn’t just a one trick pony, come in, see the pretty things and leave, there is a lot to see, do and eat! Here are some of my best tips for visiting Banff, Alberta in one day and getting off the beaten path a little. If you are visiting and are wanting to squeeze in as many things into your schedule as possible, I would definitely suggest driving yourself as it will be the fastest way to get around. However that isn’t completely necessary and I actually covered a lot of ground and did all of the things included in this post by either walking, taking the public bus or using a free shuttle bus. There are taxis available in town as well, but they can be pricey. 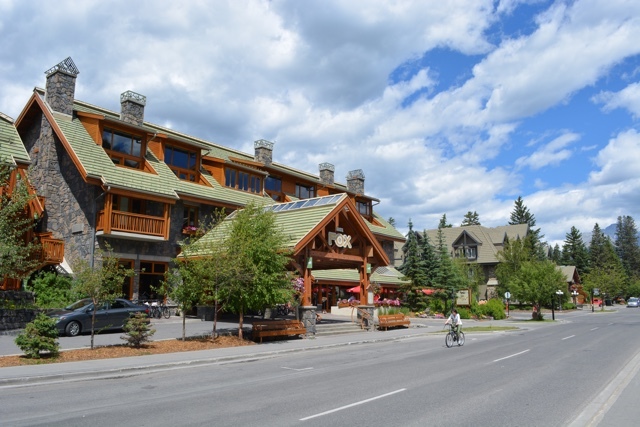 Most likely you will be arriving by flying into the Calgary airport, from there you can take a Brewster Shuttle bus that will take you right into downtown Banff to your hotel. I would recommend booking your shuttle online in advance on their site Brewster.ca. 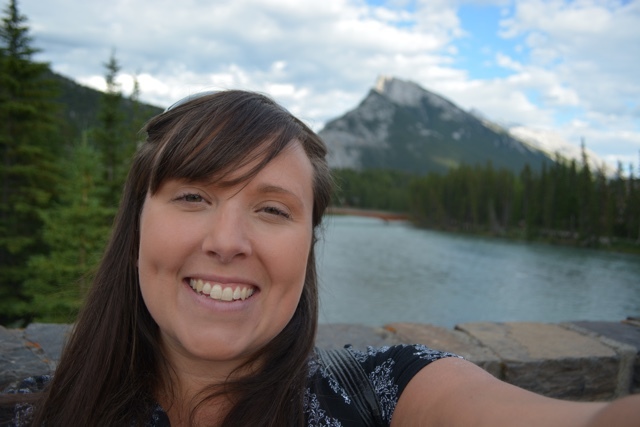 Also if you would prefer to do a tour around popular spots in Banff instead of exploring on your own I also suggest you check out the tours that they offer. Once you arrive quickly check in to your hotel so you can go off exploring asap. The great thing about Banff is that although it is secluded, meaning the costs of things are higher than average, there are actually a lot of accommodation options available for all budgets. Each time I have visited, I have stayed at the Fox Hotel & Suites. They have nice large sized rooms, with many featuring an almost full kitchen and living room as well as their own replica of the Banff Springs spa for you to relax in. 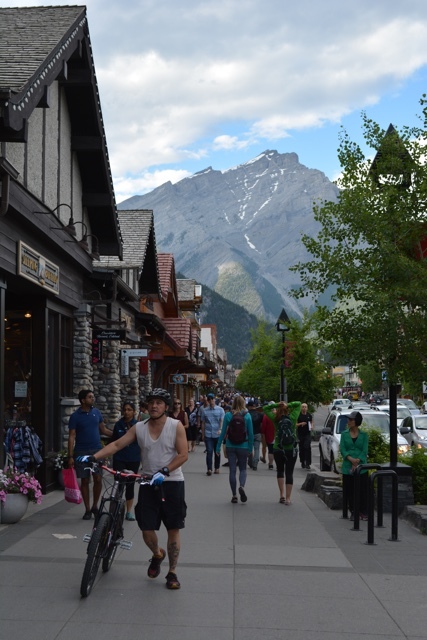 They are also just a quick walk to the main strip in downtown Banff. To book a stay now at the Fox Hotel & Suites click HERE. There are lots of nearby trails to go hiking on right around the outskirts of Banff town. You can hike up Tunnel Mountain on a series of switchbacks going up to the top with beautiful views overlooking the town and nearby mountains. It is a perfect place to stop for a picnic and takes roughly an hour of hiking to get to the top. If you are looking for a bit more leisurely stroll which is pretty much flat the whole way (there is a small incline near the end) you can also take a hike from downtown to Bow Falls. 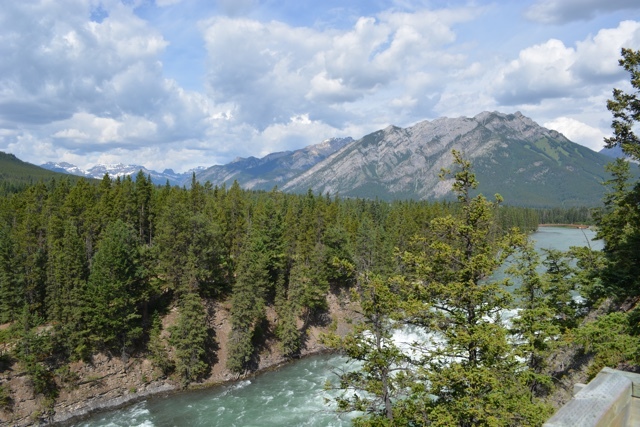 Start by heading under the main bridge at Bow River and head east on either side of the river to get to Bow Falls. 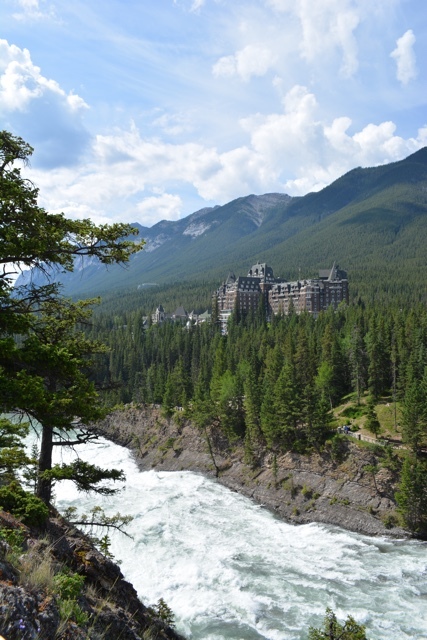 I personally preferred going on the south side as once you reach the falls you are also greeted with a view of the beautiful Fairmont Banff Springs Hotel. The hike takes roughly 20 minutes from the bridge one way, but give yourself more time for lots of photo stops and taking in the fresh air. In the summer months you can also take the Roam Public Transit #6 bus to Lake Minnewanka to hike around the lake or even take a boat cruise. 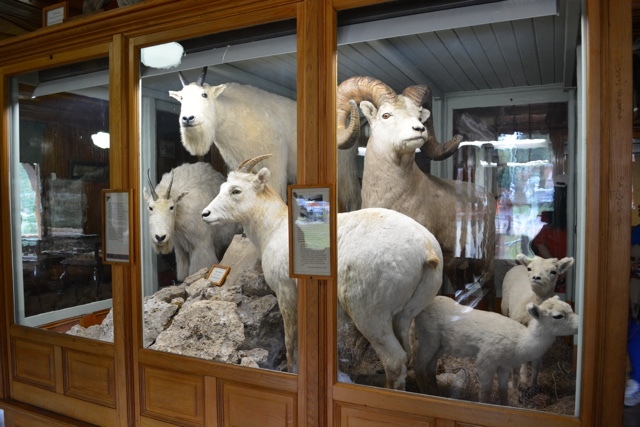 Located next to the Bow River in downtown Banff is the Banff Park Museum and it is a great spot to check out all of the different animals that live in Banff National Park. The animals in the museum are all brilliant taxidermied pieces, with most dating back to 1914. You can get up close to brown bears and grizzly bears as well as wild cats, buffalo and even HUGE beavers. Entrance is currently free for all of 2017 for the Canada 150 celebrations. 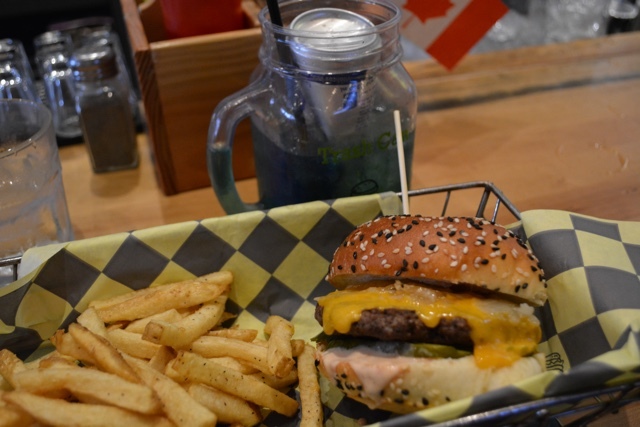 When going to a small town located inside of a national park you might not think that it would be home to some amazing food, but I was surprised with all of the things Banff has to offer to eat and drink. Banff has everything from fine dining to McDonald’s. You can get delicious craft beers from the Banff Ave Brewing Co., locally made gin or vodka from Park or try rattlesnake and Buffalo fondue at the Banff Grizzly House. Or you can grab a delicious pizza from the Bear Street Tavern or eat an incredible burger from the Eddie Burger Bar. The Eddie Burger Bar also has some delicious fried pickles and crazy milkshakes and cocktails like the trashcan which is served with a crumpled upside down red bull can floating in the middle of it. Eddie was the first place that I ever tried a pickleback too. Yum. In Banff you can also find a few locations of the Canadian favourite treat Beaver Tails, a delicious beaver tail shaped pastry or tempt your sweet tooth at Mountain Chocolates where they make handmade chocolate and treats every day. 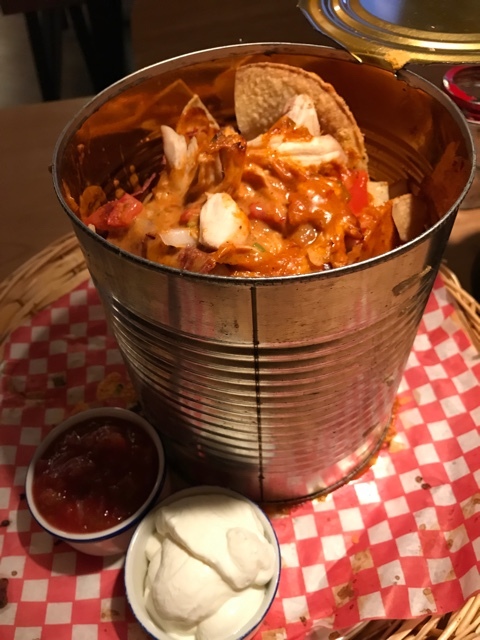 You could also get a huge order of can-o-nachos which is nachos served in a large tin can at High Rollers which is also part bowling alley. I was told their pizzas are pretty great as well. Aside from a bunch of restaurants downtown is a lively spot with a bunch of great places for shopping, for buying souvenirs, and more. It is even just a great place for people watching and gawking at the stunning views of the nearby mountains like Mt Rundel. Be on the lookout for community events as well, when I was there it was Canada and there was a $2 pancake breakfast open to anyone and there are often farmers markets too. On a previous trip Banff I had gone to the top of Sulphur Mountain on a Gondola and I am told the views are spectacular but unfortunately that day it was cloudy and mega foggy at the top. Which can happen of course! At the top you can learn about the surrounding areas, there are great view points, there are two restaurants and even a Starbucks! It is definitely a popular thing to do in Banff. Route 1 on the Roam Public Transit can take you there. Admission for the gondola is $62 CAD (as of July 2017). What I hadn’t heard of before this trip however was of another stunning mountain view point and that is from the top of Mt Norquay. It is a bit more intimidating to get to the top because you ride on a ski hill open air chairlift to go up instead of inside the comfort of a Gondola, but once you get to the top you know it was worth it. Note, it’s not for those with a weak stomach, especially going down and when it stops periodically and when it’s a bit windy. 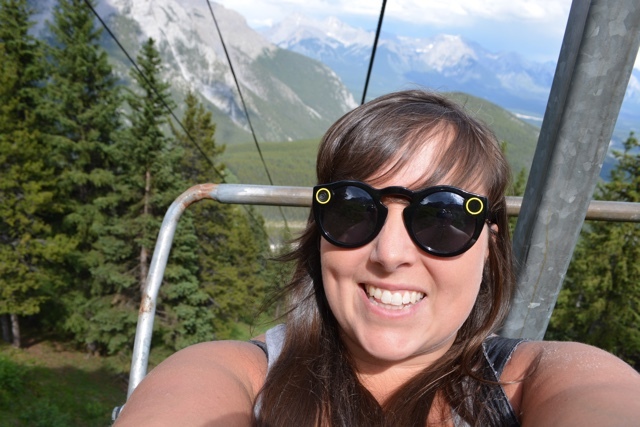 But I was literally stunned when I jumped off and turned around and saw the view overlooking downtown Banff, Mt Rundel and the Rocky Mountains as far as the eye could see. I highly recommend going to Mt Norquay, the views were stunning, there were literally no crowds, it’s free to get there and it is half the price of the gondola. At the top you can also dine while enjoying the stunning views at the Cliffhouse Bistro. 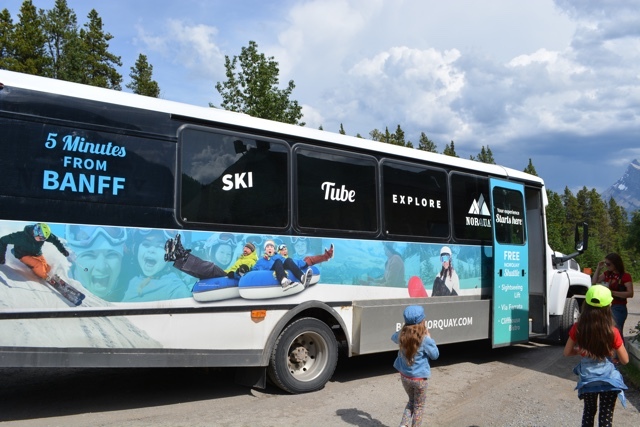 To get to Mt Norquay you can take the free shuttle that leaves from the train station. Admission to the chairlift for adults is $30 CAD (as of July 2017). 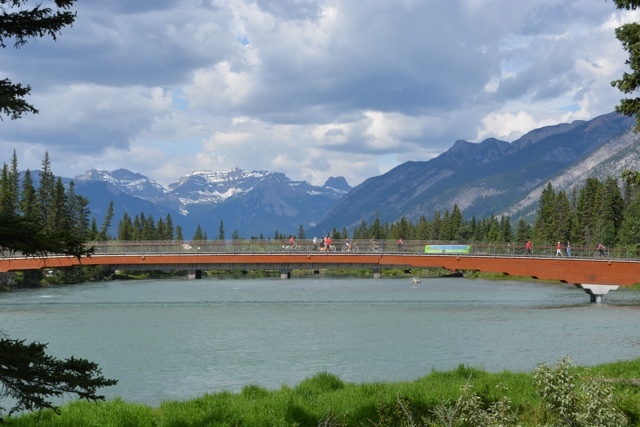 Hopefully my best tips for visiting Banff, Alberta in one day have inspired you to visit. What else would you suggest for one day in Banff? Leave a comment below! Special thanks to the Banff & Lake Louise Tourism Board for helping my with my trip. As always all opinions, and views expressed as well as tasty food eaten are my own. We were a brand new operation in 2017. HopOnBanff is a great way for guests to get around Banff National Park. We are starting our 2nd summer of operations on May 2nd 2018. 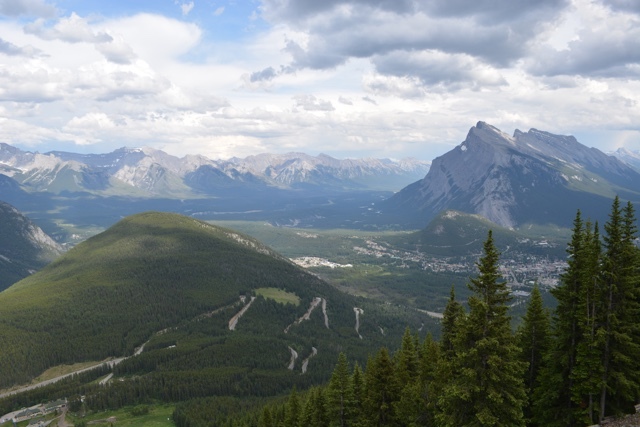 There is so much to do in Banff … can’t wait to get back there sometime in 2018!